The alarming warning is contained in proposed rules published last week for the Department of Defense’s “Defense Support of Civil Authorities” plan. What about the Posse Comitatus Act, you ask? Well, if these foks get their way Posse Comitatus is dead, and, frankly, so is our constitution! Some of you may be wondering what the dickens the Posse Comitatus Act is. Ok, let’s take a look, shall we: “The Posse Comitatus Act and the Insurrection Act substantially limit the powers of the federal government to use the military for law enforcement. The Posse Comitatus Act is a United States federal law (18 U.S.C. § 1385) passed on June 16, 1878 after the end of Reconstruction. The Act prohibits most members of the federal uniformed services (the Army, Air Force, and State National Guard forces when such are called into federal service) from exercising nominally state law enforcement, police, or peace officer powers that maintain”Law and Order” on non-federal property (states and their counties and municipal divisions) in the former Confederate States. Ok, so we have 20,000 US combat troops to be to do, uh, what… exactly, in the US… plus, Obama’s civilian national security force of, how many? Who knows! Now, I don’t know about you, but this is beginning to be worrisome. Are we about to become an armed camp? It certainly seems so. I know it is not popular these days to speak of it, but the fact is… I am a product of the only part of the US to be invaded, conquered, and occupied by armed forces of the US. My section of the US underwent ten years of the worst form of occupation by armed troops. Even today stories handed down within families, from generation to generation, and a number of books have been written about the atrocities committed by those troops while here in the former Confederate States of America. If you care to read an excellent account of some of those war crimes, I recommend a book by Walter Brian Cisco titled: “ War Crimes Against Southern Civilians.” Some of the crimes he writes about in the book took place in my hometown. It seems to me that what we have is a Federal Government out of control. That means the constitution is being trampled, shredded, and maybe, as some claim, it is already dead! For decades we have warned that a federal government big enough to give you everything you want is big enough to take everything you have… including your freedom. And now it is happening. I repeat my question asked above: Are you worried yet? 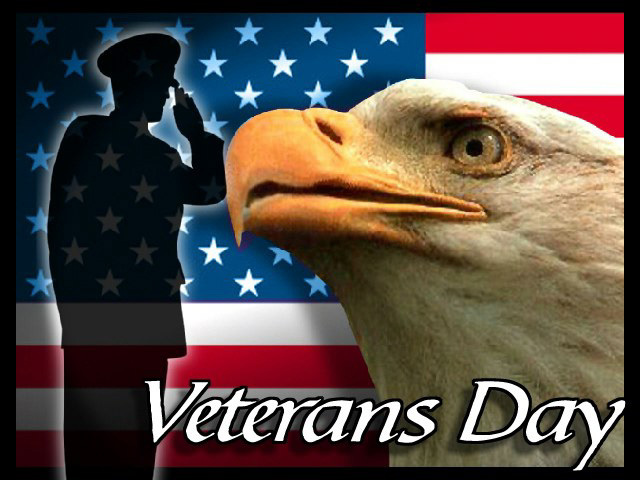 Please take the time to thank a Veteran for their service today!